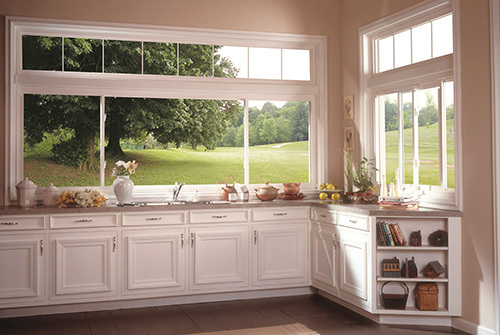 This unique version of our Three Lite Slider Tilt Window provides a versatile method for filling large window openings. It can be proportioned to suit your requirements. 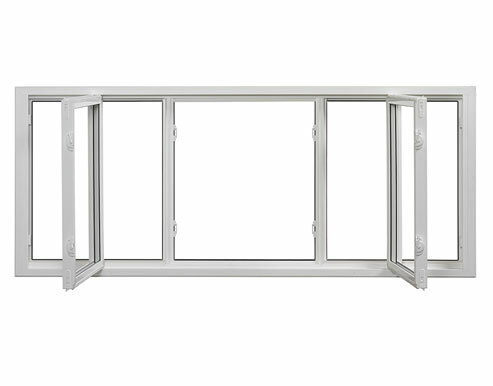 The three segments of this window can be equally sized for balanced vision and ventilation or can be custom sized to achieve your functional and aesthetic preference. As with our Double Slider Tilt Window the same patented locking sliding shoe and secure pivot bar allow both sashes to slide effortlessly for ventilation and to tilt in safely for glass surface cleaning. So well engineered is our Three Lite Slider Tilt that it may be sized up to a staggering 96" wide and 60" high. Combine the Three Lite Slider Tilt with our elegant Fixed Picture Window to create a timeless, traditional configuration with an extra special touch. As with all Vinylguard Windows the Three Lite Slider Tilt Window is supported by our no nonsense, non pro-rated, fully transferable Lifetime Warranty.